I'm finishing up my Thanksgiving tablescape this week. 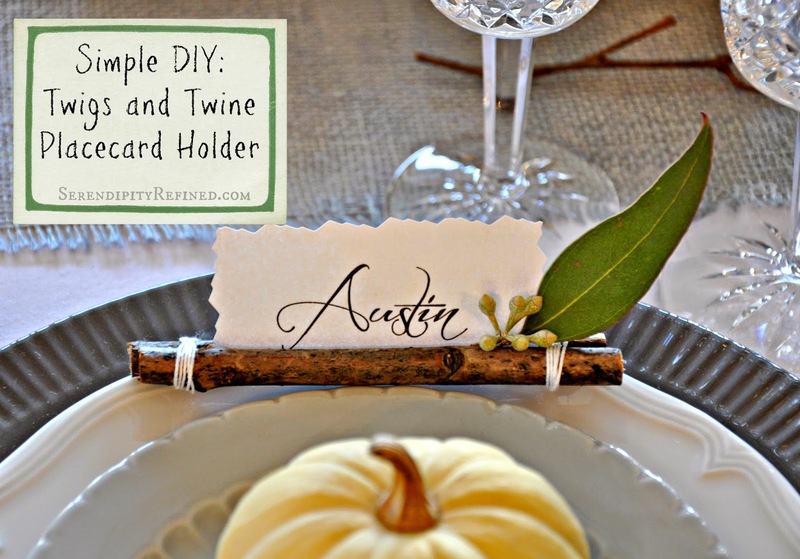 When I got to the place card holders, I had just a few criteria: 1) quick 2) easy 3) rustic...and, as an added bonus, 4) FREE! I gathered some fallen twigs from my yard, found my pruners, a couple of sheets of card stock, some twine, hot glue, and a little seeded eucalyptus that I had left over from my Thanksgiving centerpiece (pieces of pine, spruce or juniper would also work as would fall leaves). 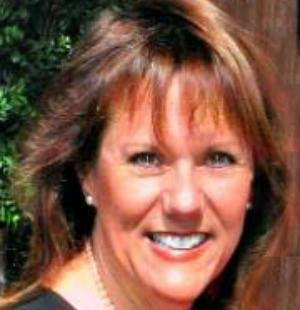 First, print or letter the names of your guests onto card stock and cut them no larger than 2" by 3.5" (slightly smaller than a business card). Next, using hand pruners (or a saw), cut twigs to a length of around 6 inches (two per holder). 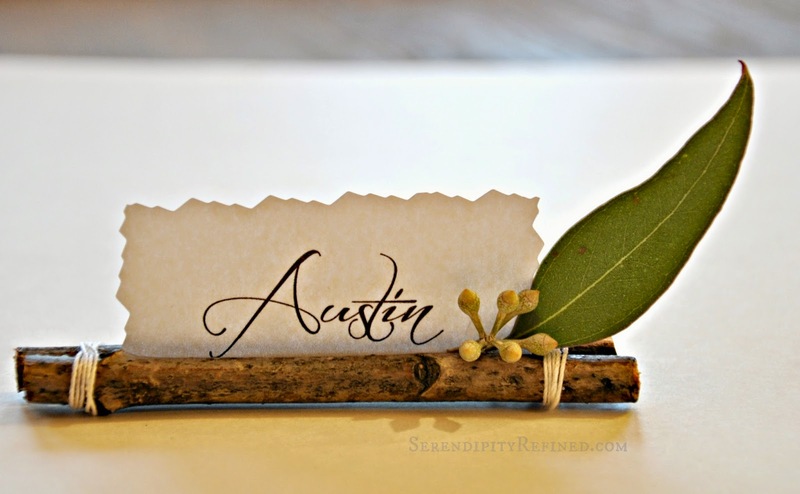 Place the name card between the two twigs and use hot glue to glue into place. 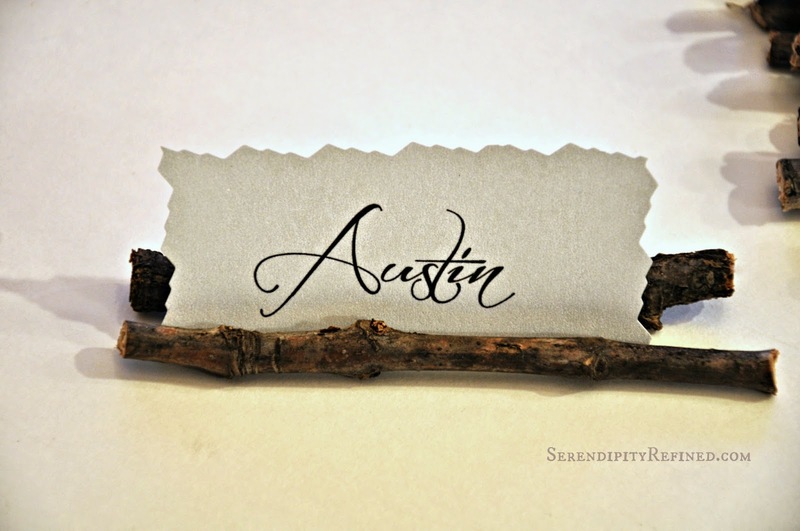 While the glue is still warm, adjust the card so that it can be read by rolling the twigs slightly in either direction. 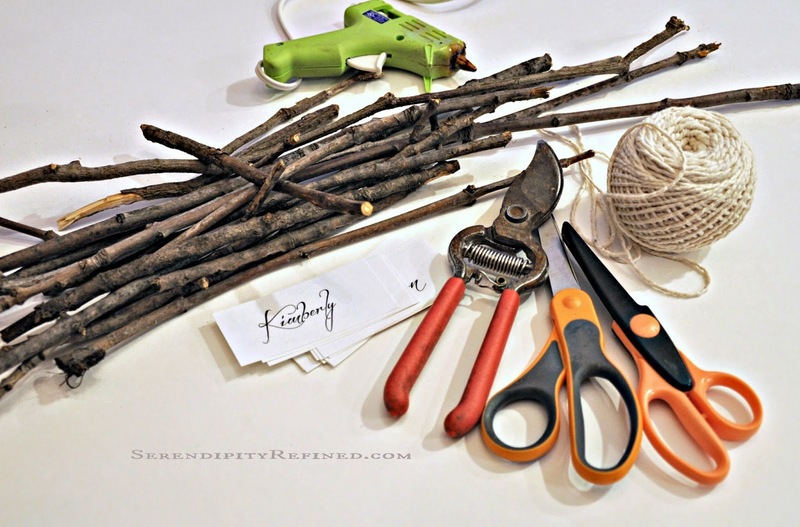 Next, wrap cotton twine around each end of the twigs. This helps them to sit straight. Finally, glue a eucalyptus leaf and small group of seeds on one side. See?! I told you that this was quick. If you'd like to see the rest of my Thanksgiving table, I hope that you'll stop by on Monday!